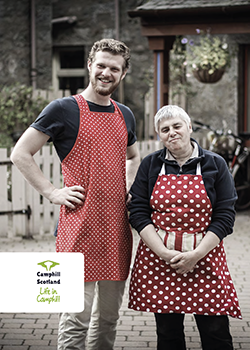 Beannachar Camphill Community is recruiting for a HEAD OF CARE. Beannachar was founded 40 years ago on a beautiful estate on the outskirts of Aberdeen. The community provides training for up to 34 young adults with additional support needs and is part of the worldwide Camphill movement. Students have the option of residential and/or day placements to engage in meaningful work and opportunities for personal development in domestic, craft and land-based activities, including a smallholding and a beautiful walled garden. The Head of Care will report to the Team Leader of the Senior Management Team (Registered Manager) and will be responsible for the safe and effective management of Beannachar’s overall care provision. You will, have excellent people management, time management, leadership and organisational skills, be a strong team player and a good communicator. Beannachar is going through a period of transition, facing fresh challenges, and is aiming to build on the strengths and potential of the community’s assets and legacy to take it into the future. A competitive salary and benefits package is on offer for this role. For an informal chat about this role, please do not hesitate to contact us at the above email address to arrange a time to speak to a member of the Senior Management Team.